LATAS combines satellite and air traffic data to ensure that anyone can fly a drone accident free. With companies like Amazon and Google pushing for commercial use of drones, the U.S. government is under tremendous pressure to develop a control system that keeps order when hordes of drones flock to the skies. Professional drone-maker PrecisionHawk is one of the companies working on this problem. At the drone Data X Conference in San Francisco last week, the company showed off LATAS (Low Altitude Traffic and Airspace Safety), a system which uses cell networks and satellites to map the flying area around a drone and ensure that is has a clear airspace. 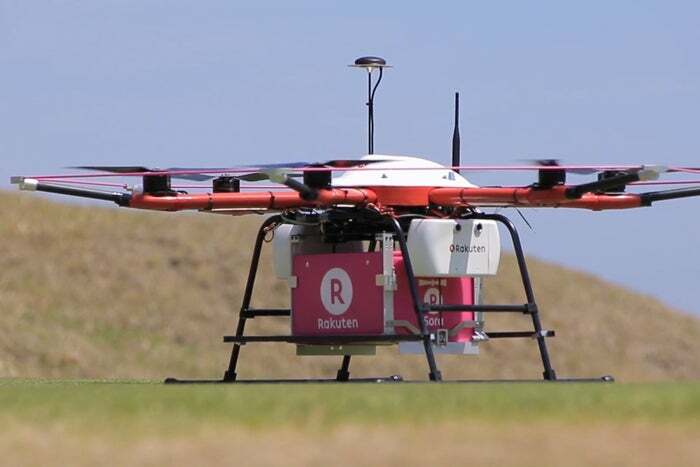 Such systems are vital if commercial drone services such as package delivery, photography and surveying are to get off the ground. Current regulations restrict drone use to line-of-sight and impose restrictions on flight that could be eased if safety is assured. "We are taking lots of satellite data that we collect via satellites and we are processing that data into a very high resolution, 3D map of the Earth. So now I know what’s on the ground…I can take that data in conjunction with airspace data and manned air traffic data so that I can understand what’s around the drone," said Tyler Collins, Vice President of Airspace Services at PrecisionHawk. Vice President of Airspace Services at PrecisionHawk, Tyler Collins, speaks about LATAS at the Drones Data X Conference in San Francisco on June 3, 2016. "And if I can understand what’s around the drone, I can understand what that risk is. And if I understand what the risk is, now I can go to the FAA and say, ‘I know that flying in this space, and I know everything around me. It’s safe for me to fly beyond line of sight based on using these new types of technologies.’"
According to Collins, before commercial drone use can really take off, drone safety systems like LATAS must first become an indistinguishable part of the drone. "For LATAS to really mean something to the drone, we need to integrate it deeply into the flight control system. So we have to work with those drone manufacturers, who are the experts of their own drones and understand how their drones fly to work to build that technology directly into the drone itself," he said. To find out more about LATAS, watch Tyler Collins’ full interview below.